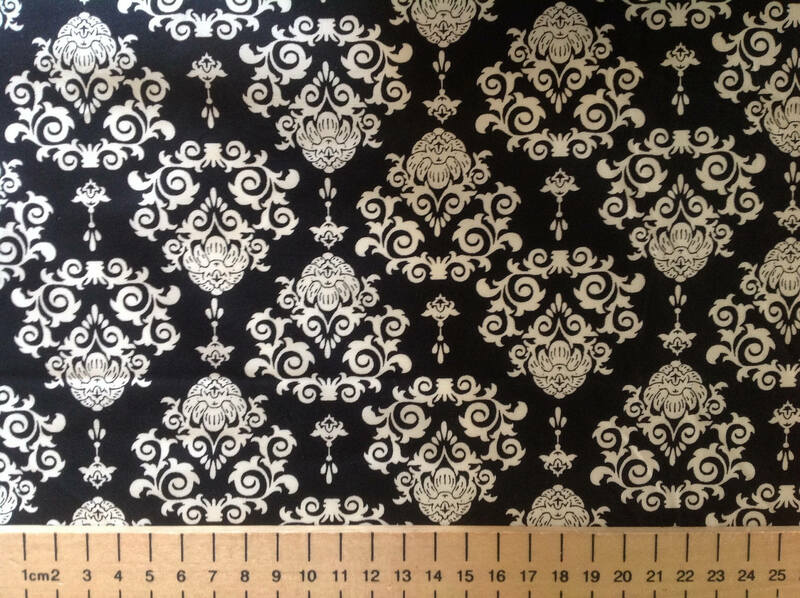 The damask pattern is very pretty--which isn't always the case. The fabric is soft, and the colors are a wonderful black and light tan. Very, very fast shipping from France, and the seller is very thoughtful! Magnifique tissu en coton japonais ! Imprimé magnifique avec une livraison ultra rapide !